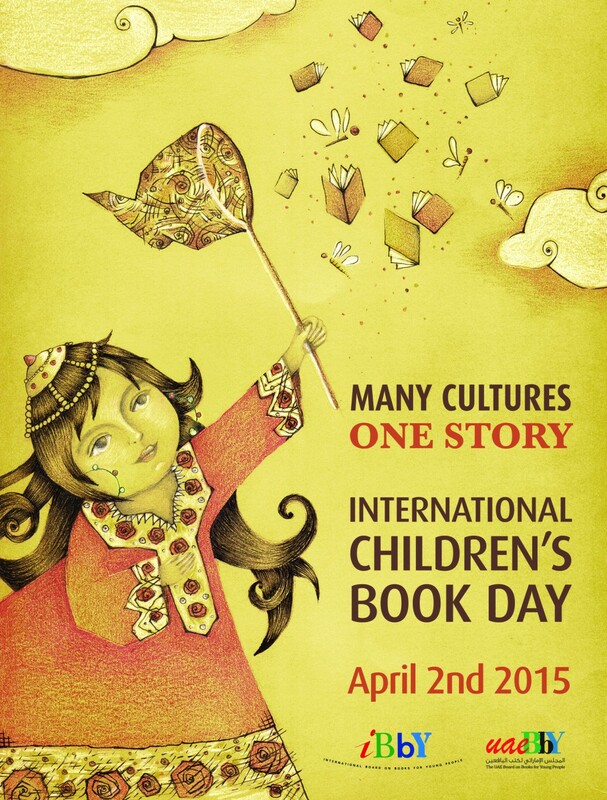 This year Ireland hosted International Children’s Book Day! Thumbelina By Hans Christian Anderson and over 150 fairy tales and stories by Hans Christian Anderson. The 1952 musical film Hans Christian Andersen, posters for the event (designed by college students), and materials to design finger puppets for the story characters. It’s never to early to think about how we can celebrate the next International Children’s Book Day in 2015! Utah USBBY Representative Lauren Aimonette Liang teaches an International Children’s Literature undergraduate class at the University of Utah. In that class, she revisited the authors each student had chosen to study for their Hans Christian Andersen Award author studies (done the previous month) by going around the room and stating the title and general plot of the favorite book they had read by the author they had studied. 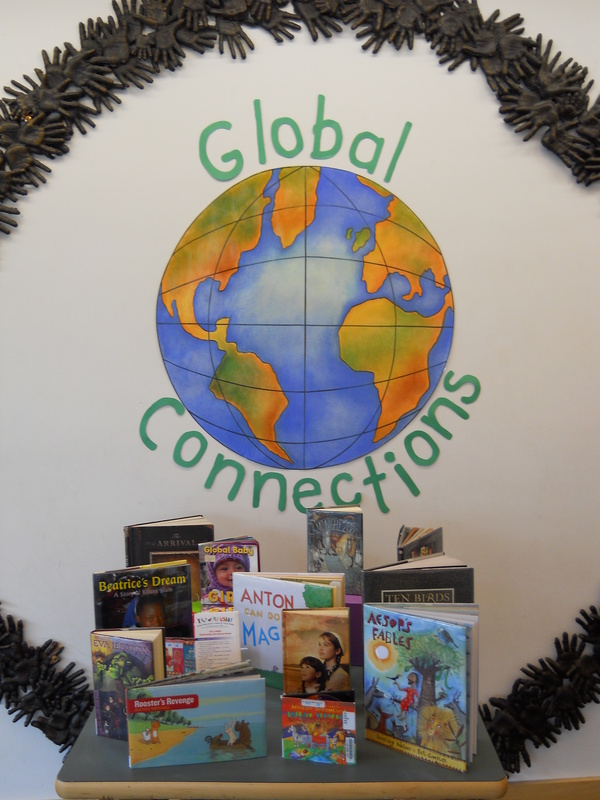 It’s easy to celebrate International Children’s Book Day throughout the year by incorporating international children’s books in your storytimes, read alouds, and reader’s advisory, and by making displays like the one pictured here, courtesy of the Northport-East Northport Library. Doris Gebel is the President of USBBY and Head of Children’s Services at the Northport-East Northport Public Library in Northport, NY. The International and Global Literature Collection at Northport Library was launched in December 2012. This growing collection features children’s and young adult literature translated from a language other than English, imported from outside the USA, or written by an author with international roots. Perhaps the best known literature from abroad comes to us from England. What American child does not know Winnie-the-Pooh (albeit thanks to Mr. Disney). 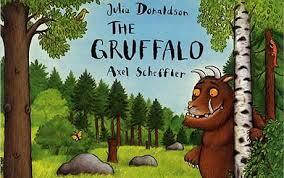 Never the less, he is just one of the famous animal characters that populate British children’s literature. 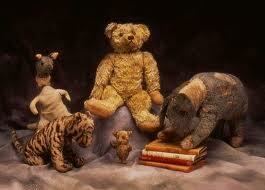 He stands proudly next to Paddington and the creatures of The Wind in the Willows. Little people are no strangers to British children’s literature beginning with the folk character of Tom Thumb to Jonathan Swift’s Lilliputians in Gulliver’s Travels to Norton’s Borrowers. Children of long ago cherished books like A Child’s Garden of Verse, Gulliver’s Travels, Robinson Crusoe or Treasure Island. From the more recent past there’s The Chronicles of Narnia, The Sword in the Stone, The Hobbit, Alice in Wonderland, Peter Pan, Mary Poppins, The likes of Joan Aiken, Leon Garfield, Rosemary Sutcliffe, Mollie Hunter, Helen Cresswell, Ian Serrraillier, Philppa Pearce, William Mayne and Roald Dahl stand in the halls of great British writers for children. Contemporary authors such as Eva Ibbotson, Phillip Pullman, Hillary McKay….dare I mention J.K Rowling are also currently popular in England. And this doesn’t touch on the great tradition of picture books. Just consider the works of the great nineteenth century illustrators, Randolph Caldecott, Kate Greenaway and Beatrix Potter, to name just three. Check out these popular Irish authors and illustrators: Roddy Doyle, Siobhán Parkinson, Oliver Jeffers, Shibhán Dowd, Eoin Colfer, P.J. Lynch. Chambers, Aidan. Tell Me: Children, Reading and Talk. Pembroke, 1996. Townsend, John Rowe. Written for Children: an outline of English-Language children’s literature. Scarecrow Press, 1996. Present narrative and demonstrative materials on the establishment of libraries in public elementary schools, doing read alouds to elementary school students with extension activities, reading comprehension classes to older high school students and workshop on the magic and values of children’s literature.